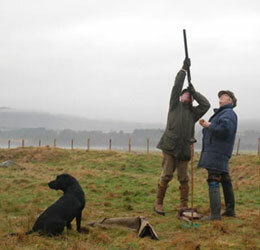 Ralia is a splendid base for a traditional sporting break in Scotland. Ralia Estate is a traditionally run family estate located in the stunning Cairngorm National Park on the banks of the famous River Spey. Just 50 minutes from Inverness airport and 2 hours from both Edinburgh and Glasgow. For those who wish to sight-see, there are scores of historic castles and several distilleries which can be enjoyed on the Speyside Whisky trail. There are lovely local walks and golf on 6 local golf courses. There are numerous outdoor activity centres offering activities from white water rafting to quad biking. The spectacular scenery and beaches of the west coast are only a short 50 minute drive away with Ralia, being situated in the central highlands.